Shown here is the later deck salon version. The original design had more of a standard doghouse. An extended version was called the CARBINEER 46. 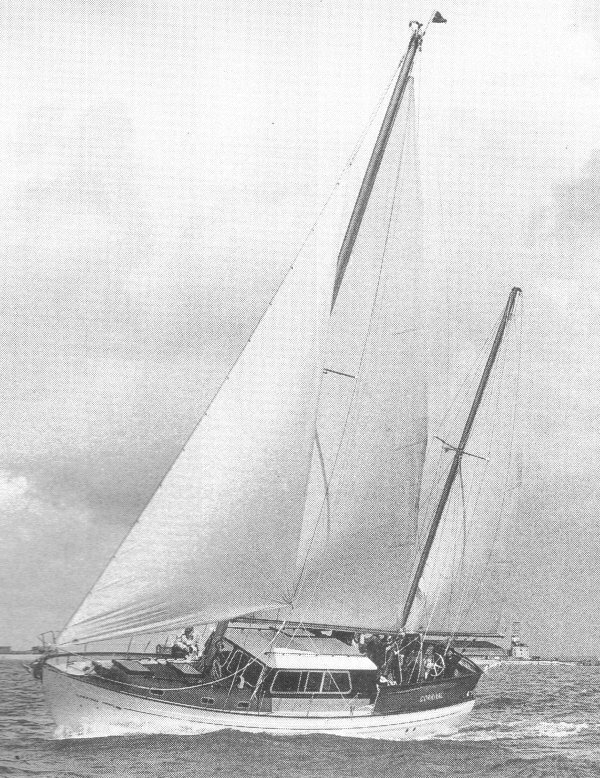 Another similar boat, the CARBERNEER 46, was built in Australia. (1979-1989 - 16 built.) The name was changed slightly in order to escape paying extra royalties.